Interviewer: We hear the term chronic pain all too often. It’s a common problem, but what exactly is it? Dr. Rudy Gari from Florida Pain Relief Group joins us now to help. Dr. Gari, good to have you here. Interviewer: And unfortunately, over a billion people worldwide have chronic pain. So what exactly does that mean? Dr. Gari: So chronic pain refers to pain that continues when it should have been gone. So for example, you sustain an injury and we know typically, the pain from that injury should be gone in about two weeks or more or less, whatever that might be. Well, maybe it’s three weeks, four weeks, and it lasts longer. That pain now becomes chronic and there are actually some patients that they’ve had pains for so long, so many months, so many years, where the pain, in and of itself, now becomes a disease. So now, you have an illness which is pain. Pain should be a symptom not an illness. Interviewer: And that becomes their norm. That’s their everyday life. Interviewer: They forget what feeling good feels like. Dr. Gari: Sometimes you have patients that, you know, that are in chronic pain for years and it no different than if you have diabetes of high blood pressure. Interviewer: Okay. So you see people like these I’m sure every day. Dr. Gari: Every single day. Dr. Gari: So the first thing that we wanna do is we wanna cure that. So you know the field that I’m in is called Pain Management. I’d love it if it could be called Pain Curer. There are many things we can cure pain but unfortunately a lot of times, we have to find ways to get patients to live their life again through different means. So the first thing we wanna do is we wanna make sure, is this something that we can cure? So we have to make a diagnosis. We have to be physicians, we have to listen to that patient, look at all the medical records, perform an examination in the laboratory, whatever it takes. And there are actually some chronic pain that we have been able to successfully treat where it goes away. Interviewer: I know a lot of people are on some kind of pain pill, opiates and I’m sure there are some doctors out there who say, “This is the only thing that’s going to help you cut through this pain.” You don’t believe that, right? Dr. Gari: No. I don’t believe that. There are patients that are gonna need opioids, there’s no question about it. But if we can take that patient and instead of that patient taking 100 milligrams of morphine or, you know, per day, if we can reduce that to 30 milligrams a day, a two-thirds reduction in the amount of medication that you need to function, that is a significant and major improvement and we do that through different ways. Interviewer: Well, we hear people overdosing on pain pills every single day. So obviously cutting back as much as possible is what you’re trying to aim for here. So let’s talk about different ways to manage pain. If it’s not popping a pill, what other things can you do? Dr. Gari: So we have a tremendous toolbox for taking care of someone’s pain other than pain pills. A lot things that we do… So if you think about pain, pain is mediated by nerves. So there’s a thing called nerve blocks. We do a lot of those and because we wanna stop the pain transmission before you can feel that pain. So different types of nerve blocks, they are just typical injections done outpatient procedures. We give sedatives to relax you. Do those nerve blocks and we’ve had much success. I’ve been doing this for over 25 years, and we can help those patients by those types of nerve blocks where their pain drops from a very high level to a very low level and take a lot less pain medication than they were taking before. 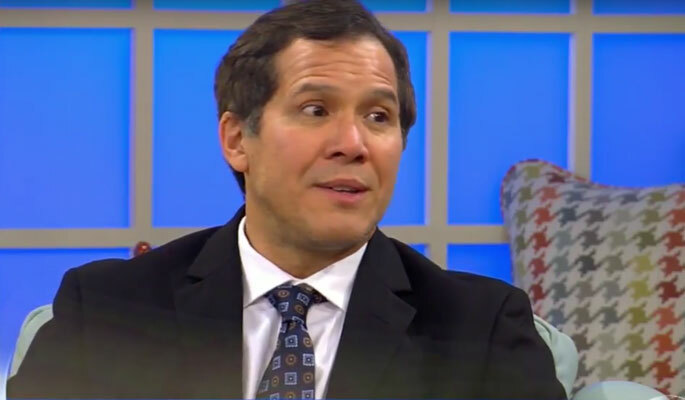 Rodolfo Gari, M.D., MBA, founded Physician Partners of America in 2013 after practicing medicine and seeking a healthcare system that benefits both patients and doctors. 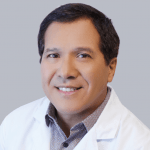 He practiced as both an anesthesiologist and pain management physician in Tampa before founding his own pain management practice, Tampa Pain Relief Center. In 1999, he built his own surgery center to practice interventional main management in a way that benefited both physicians and their patients. He went on to found Surgery Partners, Tampa Pain Relief Center and Anesthesiology Professional Services, a group of medical practices with multiple offices throughout Florida. After selling the business, Dr. Gari created Texas Pain Relief Group, the first affiliate of Physician partners of America. The company has grown from a single clinic to nearly 30, and from three employees to more than 500.